With respect to the welfare requirements addressed by the Cooperation Agreement, AQHA’s regulations and practices, in particular those associated with stewards and drug testing, are consistent with and meet such requirements. Simply put, our top priority as an association of horsemen is the health and welfare of our sport and of this great animal. Again, AQHA disagrees with the allegation that AQHA has breached its agreement with FEI and welcomes continued dialog with FEI. 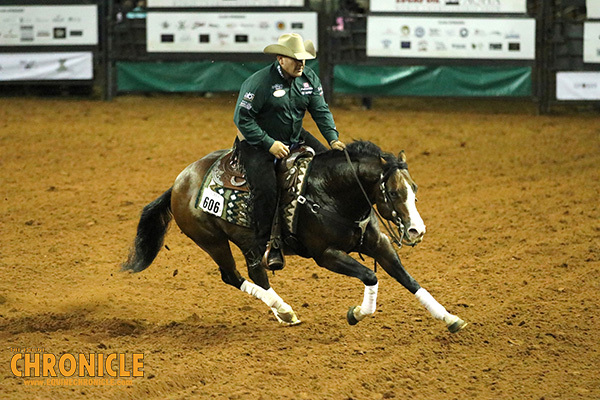 As always, AQHA’s commitment to the sport of reining and to upholding the well-being of the American Quarter Horse in competition remains a top priority. NRHA statement concerning 2014 FEI Cooperation Agreement- Door still open to possible new agreement concerning reining in future. Following months of ongoing discussions and negotiations involving all parties, the Federation Equestre Internationale (FEI) Bureau, at its November 16, 2018 meeting in Bahrain, chose to terminate the 2014 Cooperation Agreement with the National Reining Horse Association (NRHA) and the American Quarter Horse Association (AQHA) effective November 19, 2018.